Pear Deck is a cool educational tool that interacts w/ Google Chrome (extensions) or Google Drive to create interactive quizzes/slides/presentations. The way this works is an educator creates a dynamic deck/slide w/ or w/out multiple choice questions, then has students join the sessions via their Google in Education domain or Chrome extension. Then the teacher can ask questions and have students respond to them on their own devices. This is ideal for Differentiating Instruction and assessing students in real-time. 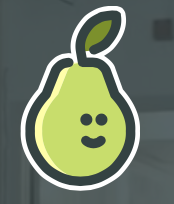 I highly recommend checking out Pear Deck by clicking here!!! For my Pinterest board on Differentiated Instruction click here.